… as Strawbs (born 1964, and amazingly still extant) did NOT sing 40 years ago! 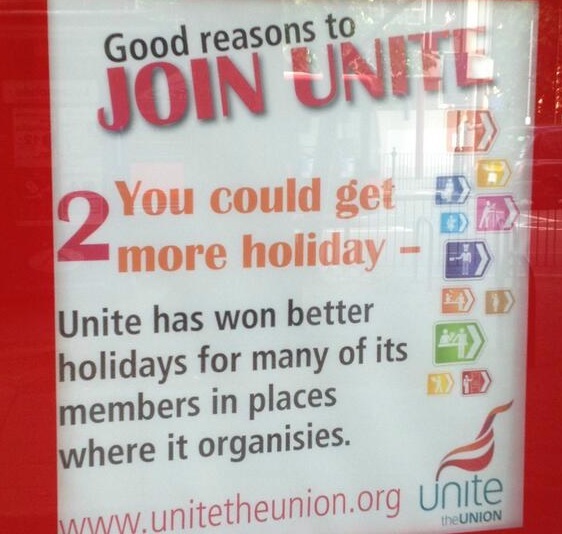 The Unite trade union has been in the news lately for (allegedly) fixing the constituency elections for Labour parliamentary candidates, to (allegedly) manipulate its own (allegedly) hardline members – and (allegedly) friends and lovers of the union’s own upper echelon – into safe seats at the next General Election; allegedly. The union’s General Secretary appears to feel that, since it bankrolls the Labour Party, it should have a dominant hand in dictating party policy. It is, perversely, anathema for those who bankroll any other party to share that proprietorial opinion; allegedly. Previously, the Deputy General Secretary, Jack Dromey (husband of the risible Harriet Harman) had miraculously managed to get onto the supposedly all-women shortlist for a safe seat, and was elected to Parliament in 2010. This was after Unite had failed in its attempt to ‘buy’ him a seat (Wolverhampton North East) for £1m, ahead of the 2007 ‘election that never was’, as revealed by the Labour Party’s then General Secretary; no need for a libel-conscious ‘allegedly’ there!